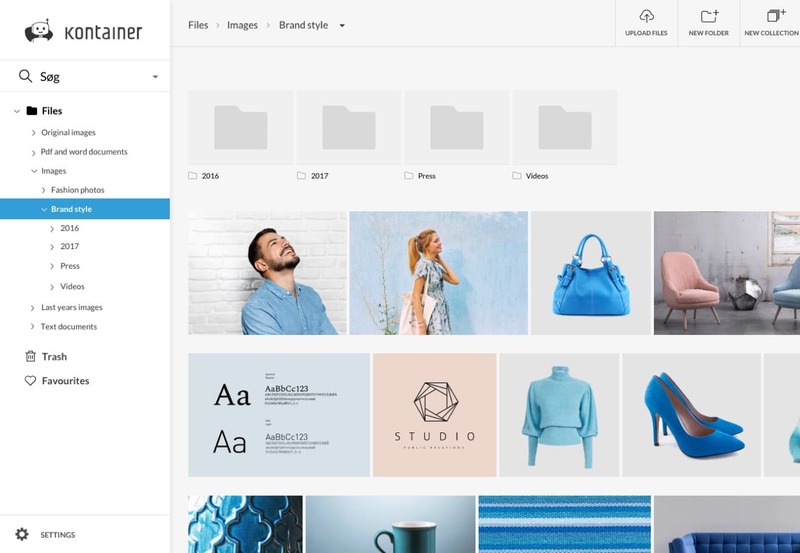 Kontainer is a digital showroom for sharing product images, videos, logos, press releases and much more. Select, adapt and share your files within 30 seconds. A brand sharing platform for rights-managed sharing with buyers, magazines and influencers. Kontainer can be integrated with a wide range of different systems. This means that we can integrate Kontainer into your CMS system so that you have the opportunity to access Kontainer directly from there. Kontainer can be integrated with practically any system you may need. Please contact us on tel. +45 3311 2003 or at mail@kontainer.com if you have questions about integrations. Unfold your visual universe at social medias etc. 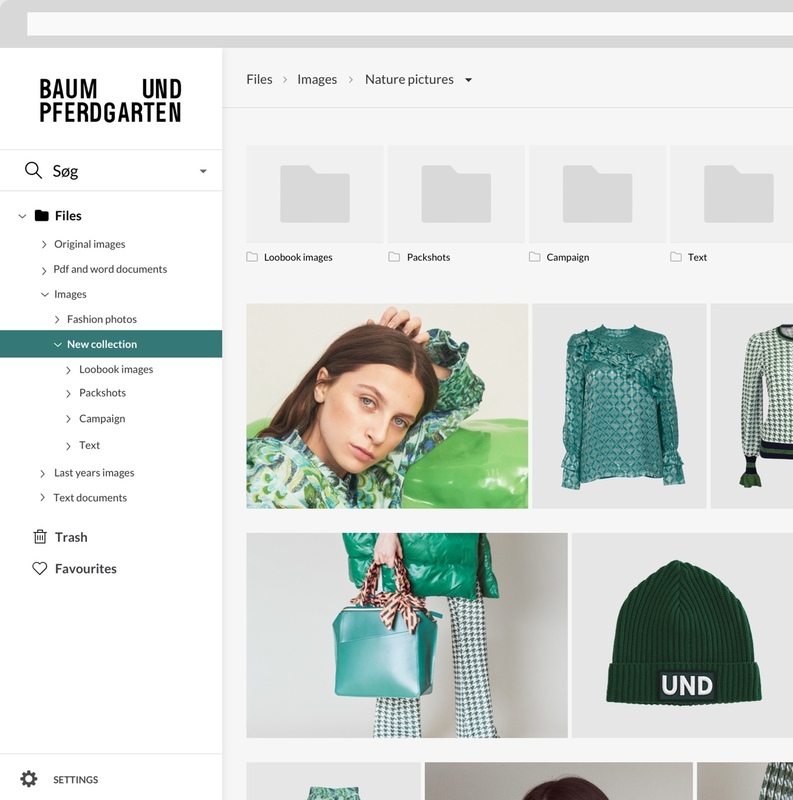 Our integrated formatting tool helps you quickly and easily optimize your images for Instagram, newsletters, Facebook, your webshop and much more. The formatting tool can be customized to support your visual identity and can format files for the channels and media you need. As a brand you wish to protect your visual universe and brand experience. We understand that! 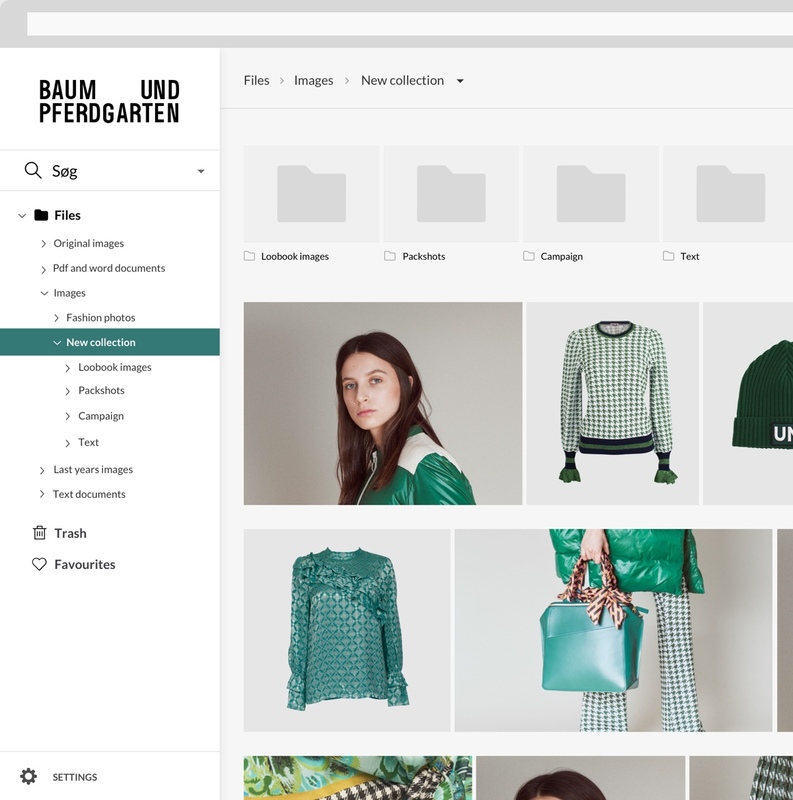 Therefore, Kontainer can be tailored 100% so that the digital showroom appears with your logo, colors and reflects your brand universe in the same way that your physical stores, showroom, webshop and social media do. Kontainer is a secure, password-protected and GDPR-approved platform. It ensures that your files never end up in the wrong hands or releases before time. In addition, we always offer 80 days of recovery opportunity. We have developed a Kontainer API to ensure our customers smooth and fully automated workflows. The API can ensure integration into yout webshop, Social Medias, App's or your ERP or PIM system. Kontainer is an image bank that gathers all your communication in one place. The focus is on your visual imprint and the communication that surrounds it. You can integrate Kontainer with your CMS and social media and make your daily life much easier. 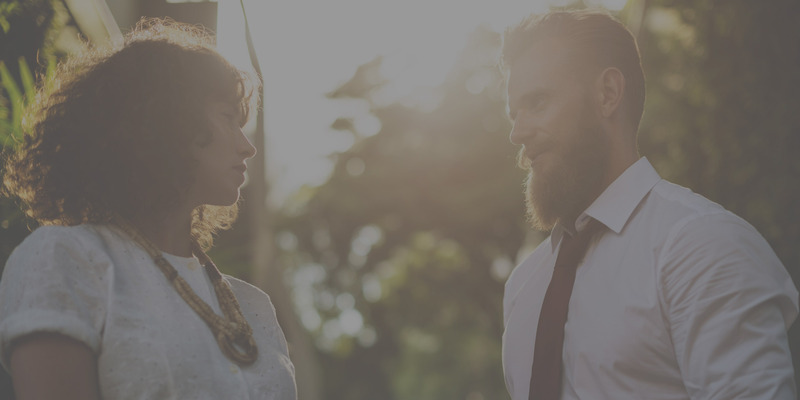 In our new version, you will also be able to access an overview of all your recipients, and from there send out emails with products customized to recipient groups or specific recipients. In the mail module, templates can be customized, especially for your brand. In that way, you can target your communication to important influences, magazines and customers. At the same time, you can retrieve statistics on your email marketing and ensure that your efforts bear fruit. *The mail module is under development and will be launched as part of the new version. "We only deliver something that we ourselves want to work in." You are always welcome to contact us and make a non-committal appointment. Here we can talk about how Kontainer can act as a resource-saving tool in your everyday life! "Kontainer's digital showroom brings together all our material in one platform. The statistics module gives us insight into how, different files are downloaded and used by the press, influences, etc. Our webshop is close to fully automated with integration to Navision and Kontainer, which optimizes our daily workflow. Kontainer is a very professional and effective tool in our daily lives. " An elegant image bank for sharing and communicating with editors, magazines, influencers and buyers. Share your files, videos and photos in a digital showroom that reflects your visual universe. With Kontainer you have the opportunity to customize integrations and features to your needs. Meaning, that we can ensure that images are automatically uploaded to your webshop. A time-saving feature that eases your daily life! With Kontainer's advanced statistics module, you have the opportunity to track user-level behavior. This means, for example, that you can track which magazines have downloaded which files from your newest collection.